ConsultingMethodology offers a range of executive training courses with world-wide coverage. 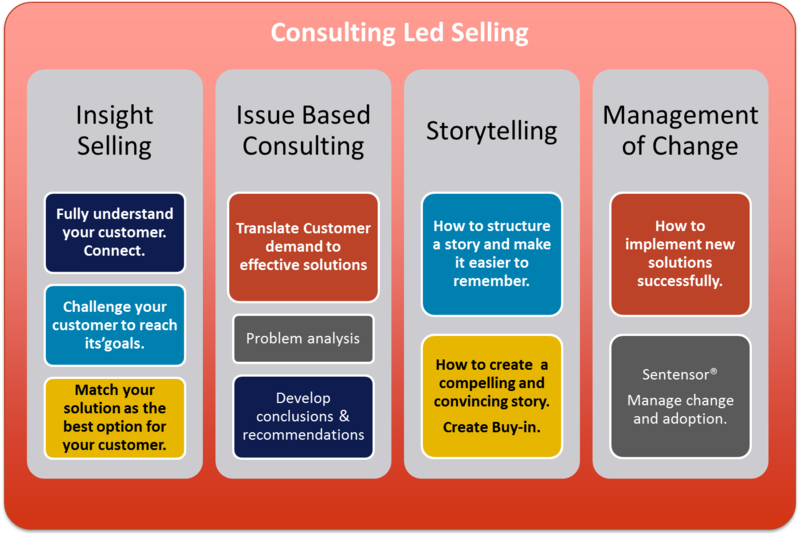 Our framework is based on the Consulting Led Selling strategy. This means your organisation could benefit from the application of your knowledge and expertise to gain more business, considering you follow the right approach and make use of the proper method to do so. The tools and methods of this framework are similar to these used by leading consulting firms workdwide, like McKinsey, BCG PWC and IBM. Check out the training calendar for the available options in your area, but feel free to contact us for an in-company offer. Our training courses are aimed at a bachelor or academic level audience with at least 5 years of relevant working experience. ConsultingMethodology offers a range of executive training courses with world-wide coverage. Our training courses are aimed at a bachelor or academic level audience with at least 5 years of relevant working experience.